Cancer is among the leading causes of death worldwide with about 14 million new cases each year. That leads to about 8.2 million cancer related deaths according to the World Cancer Report 2014 Prostate carcinoma is among the most common cancer types in men and one of the leading causes of cancer related deaths in men. Without the current knowledge of the disease, checkups and treatment the rates of related deaths would certainly be even higher. It thus recommended having a regular digital rectal exam from the age of 45 onwards. antigen (PSA) in the blood. In this exam blood is sampled and tested for a specific enzyme of the prostate. If this value is elevated this might be an indicator for prostate cancer. 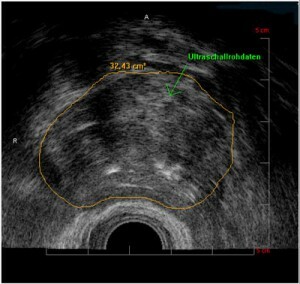 In order to localize a possible tumor of the prostate, several imaging methods are used. The most common methods are ultrasound (US), computertomography (CT) and magnetic resonance imaging (MRI). 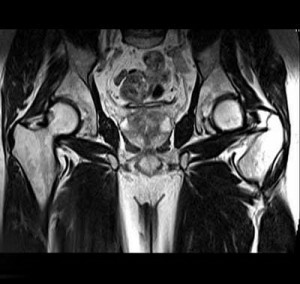 Among the different methods MRI offers the best soft tissue contrast while not having ionizing radiation with the exam. One disadvantage of the imaging methods is that they usually cannot tell if the detected lesion is a cancer or not. In order to get confirmation, a biopsy is required to characterize the lesion. NORAS MRI products GmbH facilitates prostate biopsy and therapy by developing devices for these important diagnostic exams. The NORAS Uni-Belt 16-Channel Diagnostic & Intervention Coil allows for high resolution imaging of the prostate using the magnetic resonance imaging modality. In order to sample biopsy cores form suspicious lesions NORAS MRI products GmbH also developed the Uni-Lift Prostate Intervention Device. The Uni-Lift allows not only to take biopsies and thus aiding the diagnostics but is also a device that can be used for prostate cancer treatment, for example using the focal cryp therapy.